How do you checkmate with a King and Queen versus King? Is there a method that is faster than other methods in terms of moves? Is there a foolproof method if you are in time trouble? It's important for the winning side to avoid this common pitfall in this basic endgame. The winning side should avoid placing their queen on the c2, c7, f2 or f7 squares if the opponent's King is in the nearby corner, because this leads to stalemate. Below, I include some other types of stalemates that are not as well known. The plan is to drive the king to one of the edge ranks or files. This method is the fastest and similar to the rectangle method involving checkmate with a rook. The trick is to confine the opponent's king in the smallest possible rectangle with the queen's first move (if not already confined or can be confined at a later move) and then bring the side's own king closer to the opponent's king. In the position to the left below, White plays 1. Qc6 as the first move, making the rectangle smaller. 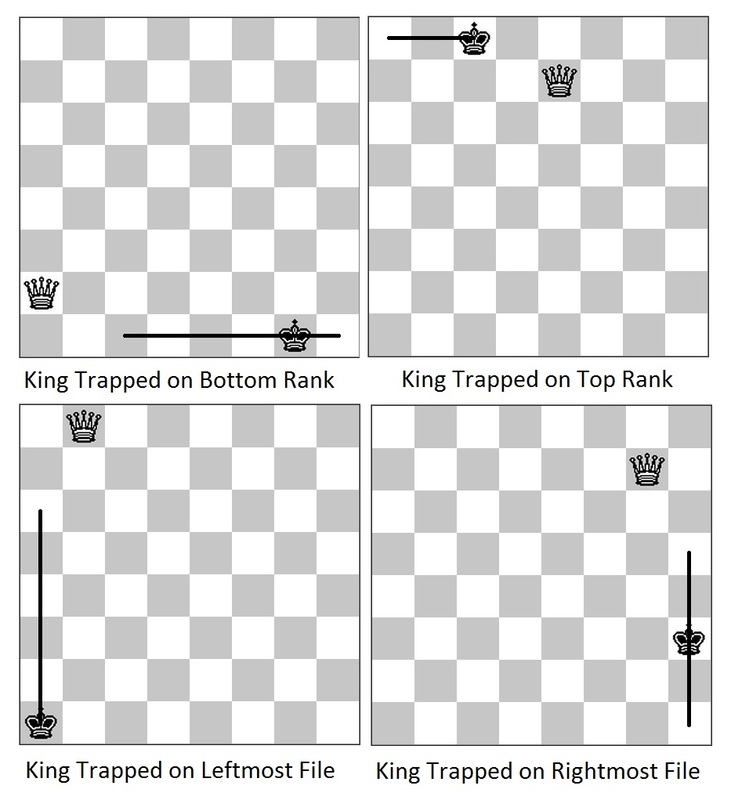 Once this has been achieved, White simply brings the King closer to the Black King to drive it into one of the edge ranks or files. The rook check trick discussed in the rectangle method for the rook applies here with the queen check. This method is mainly for beginners. Normally, experienced players will do better to use the rectangle method even in time trouble. However, it may at times help to use a combination of this and the rectangle method. If you're a in time trouble, this a very fast (in terms of how quickly you can make the moves on the board without thinking much) and foolproof (stalemates are always to be watched out for) way to checkmate the opponent's king. With this method, you can literally finish playing the move before the opponent's hand even reaches the clock (assuming you're not playing online). Consider this position where the Black King is on e5. 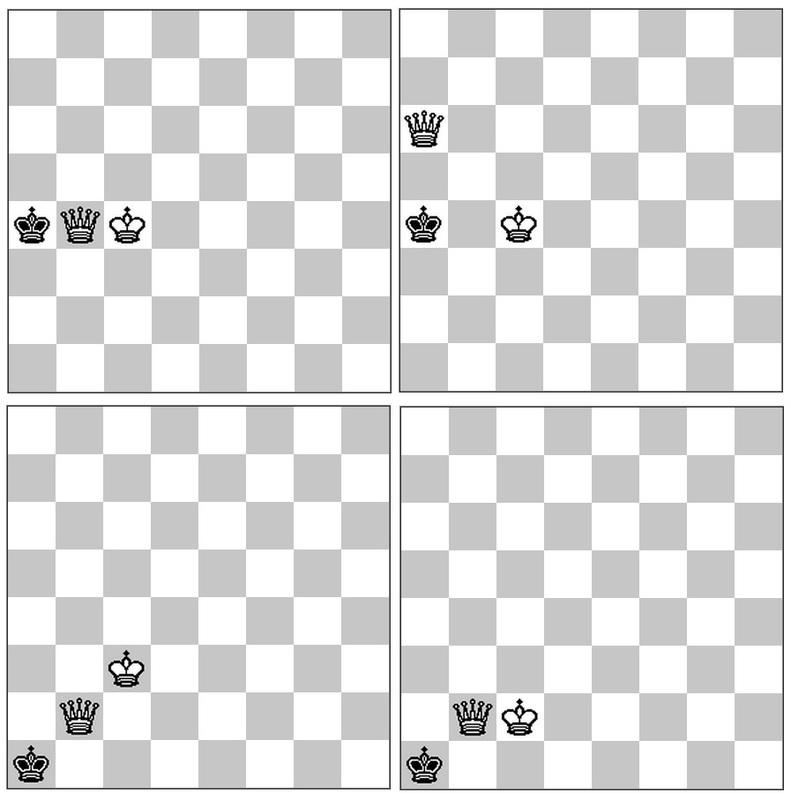 The King can be checked by a White knight from each of the 8 squares d3, c4, c6, d7, f7, g6, g4 and f3. 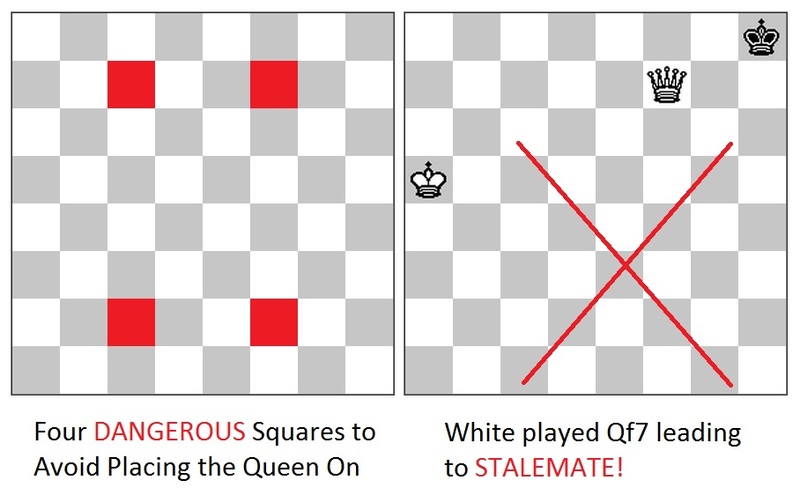 In the Knight's Square Method, the idea is to move the queen to one of these squares (preferably one away from your king to avoid collisions in time trouble!) and then simply "copy" the opposite king's move. Thus, in the position below, White first moves the queen to a "knight-square" 1. Qc6! 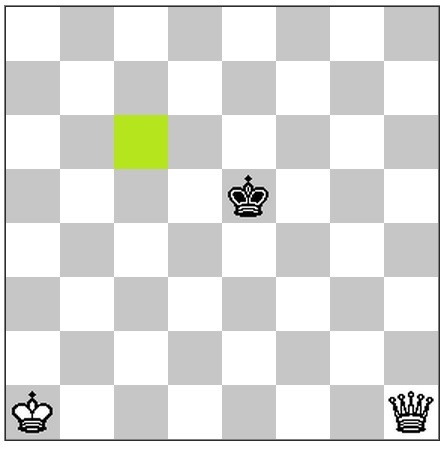 After that, the White Queen can "copy" the Black King's moves and remain in the knight's square, except, I REPEAT! 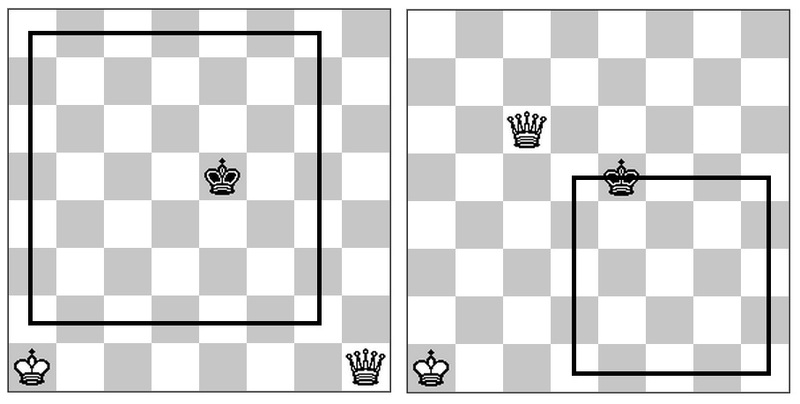 !, except when the king moves to the corner (a1, a8, h1, or h8). For example, king moves right one square, queen moves right one square; king moves diagonally up one square, queen moves diagonally up one square. Once the Black King is driven to one of edge ranks or files, White brings the King to deliver the checkmate. This is demonstrated below. 11. Qf7#) 4. Qf7 Kg4 5. Qf6 Kg3 6. Qf5 Kg2 7. Qf4 Kg1 8. Qf3 Kh2 9. Qg4 Kh1 10. Sometimes, one's own King can get in the way of the Queen in this method, as shown below. 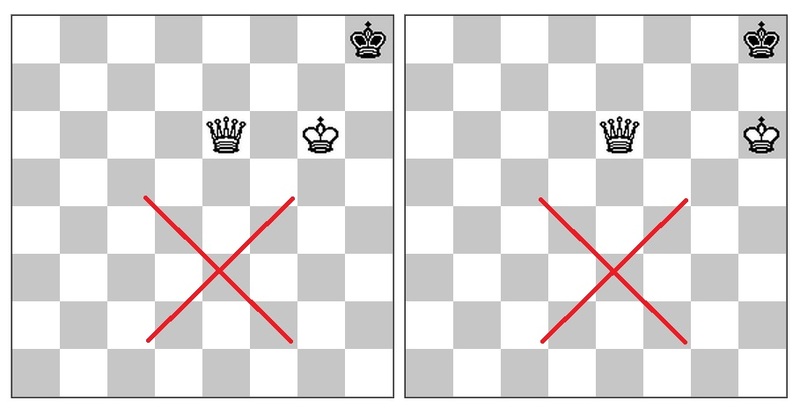 In such cases, the King can simply be moved away and the same method continues. 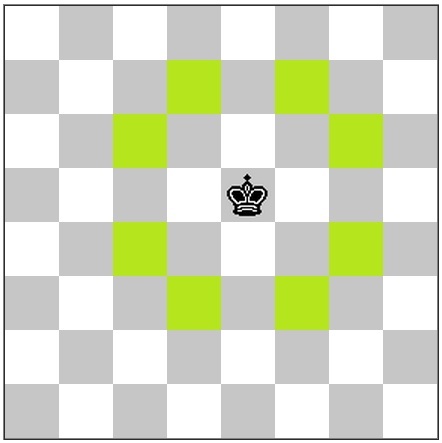 As mentioned before, the one pitfall to be avoided in this method is the stalemate that can occur when mistakenly occupying the knight's square when the king is in the corner. Lol, this question is not as silly as it sounds as once I was in time trouble and ended up stalemating my opponent by accident! Most players resign when their opponent is up a queen so such blunders can happen if you occasionally come across a player who is stubborn enough to play till the end. Anyway, after that incident I went back to studying the Queen and King vs. King endgame to avoid such embarrassments in the future! 1) Remember that stalemates are more easy with Q & K so it is important to check for a possible stalemate before every move. 2) Use your queen to slowly try to corner the opponent king until he is confined to one of the edge row or columns of the board. Remember that the king has to be in this position to deliver the checkmate. 4) Slowly nudge the opponent king towards the corner. 5) When the opponent king is in this position, deliver the checkmate! I don't know about the 'faster than other methods' bit, but it works! 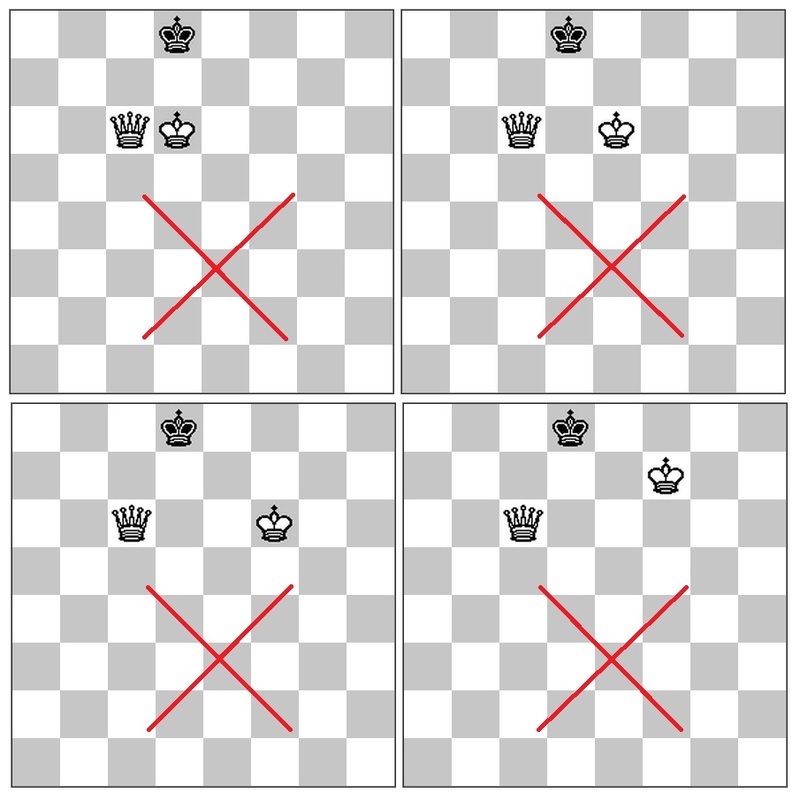 The simplest answer is to restrict the enemy king's movements by "walling off", not attacking, with the queen, move by move, driving it to the edge and then bringing up the king to help administer the mate. You must remember to always leave the king at least one free square once it's in a corner to avoid stalemate. This is basically the same method used with the rook and king, although the king and rook must be used together in that case to drive the king to the edge and finally into a corner for the mate. All this may sound confusing in the abstract, but if you try it I'm sure it will become clear quickly enough. I don't think trying to memorize a "formula" beyond what I've just suggested will be of any more benefit. Not the answer you're looking for? Browse other questions tagged endgame checkmate queens kings elementary-mates or ask your own question.